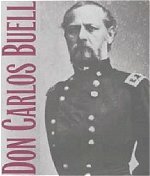 "Who Was Who In The Civil War"
Don Carlos Buell was born on March 23 1818 in Ohio, but spent most of his childhood at an uncle's home in Lawrenceburg, Indiana. 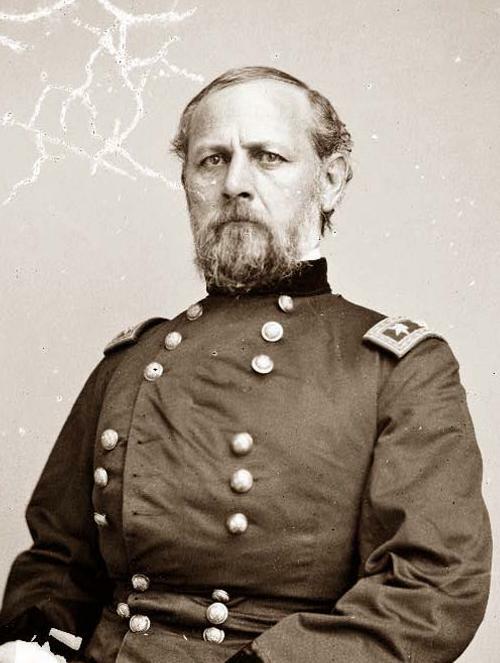 Appointed to West Point, he was graduated 32nd of 44 in the class of 1841, behind Josiah Gorgas - who would become head of the Confederacy's ordnance efforts. After graduation Buell was posted to the 3rd US Infantry in Florida. He went on to serve in the Mexican War (1846-48), being promoted to first lieutenant on June 18 1846. 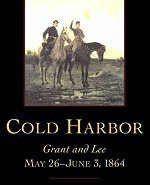 He was breveted captain that September "for meritorious conduct during the several conflicts at Monterey." 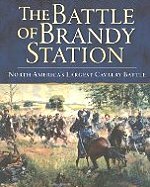 Buell was badly wounded on August 20 1847 at Churubusco, and was breveted major for his behaviour there at Conteras. He was named his regimental adjutant on February 15 1847, being assistant adjutant general on January 25 1848. After the Mexican War he remained a staff officer, serving at various departments in the West and East. 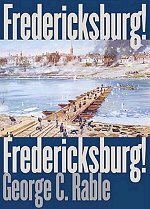 He was apppointed a lieutenant-colonel and assistant adjutant general in the Department of the Pacific just before the Civil War broke out. 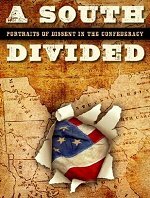 Buell was married to a native of Georgia and at one point owned eight slaves: despite this, he remained loyal to the Union. Returning to Wasshington, he was commissiioned brigadier-general of volunteers on May 17 1861. Second Lieut., 3d Infantry, July 1, 1841. 1861, -- and of the Department of the Pacific, headquarters, San Francisco, Cal., May 20, to Aug. 9, 1861. Indianapolis, Ind., May 10, 1863, to June 1, 1864. Civil History. --- President of Green River, Ky., Iron Works, 1865-70. Coal Mining, on Green River, Ky., since 1870. U. S. Pension Agent, Louisville, Ky., 1885-89. P. O. Paradise, Muhlenburg, County, Ky.